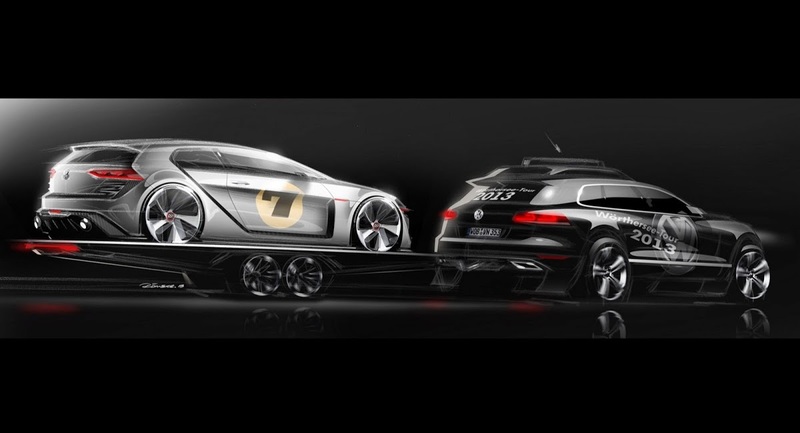 With the 7th generation of the Golf GTI out in the open, it was only to be expected that Volkswagen would play around with one of its most recognized nameplates at this week’s GTI meeting at Wörthersee in Austria, which will see the gathering of some 150,000 fans of the German automaker. 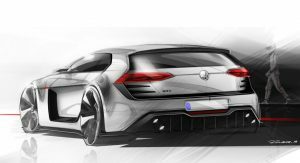 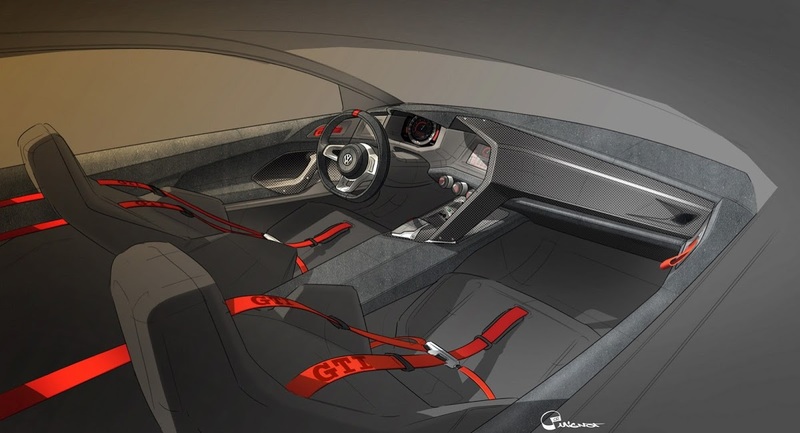 Promising to be the most radical Golf-based concept to make its way to the Wörthersee festival since the Golf GTI W12 from 2007, the new Design Vision GTI racing study was created by a team under the guidance of VW brand head of design, Klaus Bischoff. 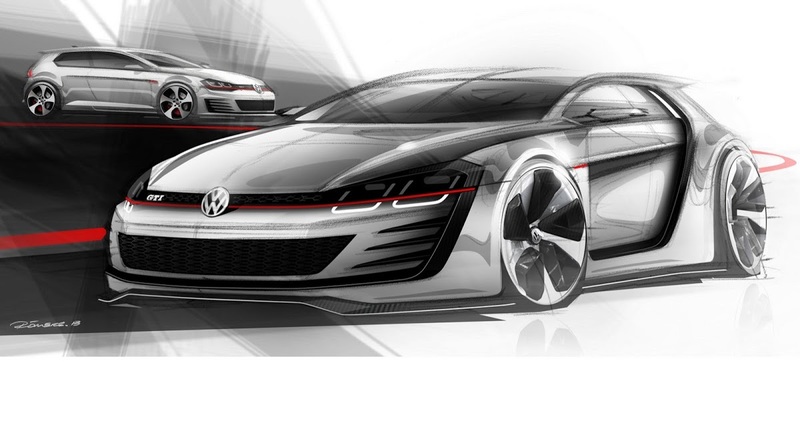 VW says the Design Vision GTI can reach a top speed of 186 mph (299km/h) and go from 0 to 62mph (100km/h) in just 3.9 seconds, compared to 155mph (250km/h) and 6.4 seconds respectively for the Golf GTI Performance Edition. 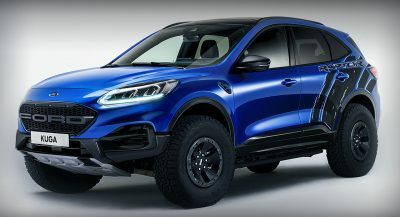 A wide body kit allows the use of 20-inch alloy wheels shod in tires size 235/35 at the front and 275/30 at the rear axle. 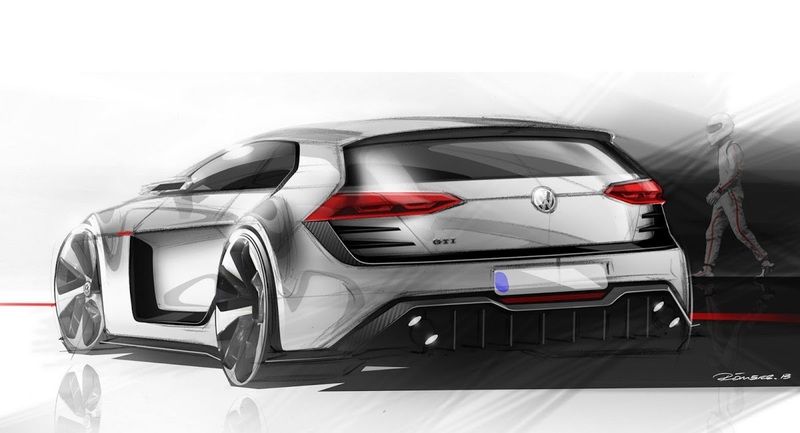 Stopping power comes from ceramic brake discs all around, with 380-mm discs at the front and 356 mm discs at the rear. 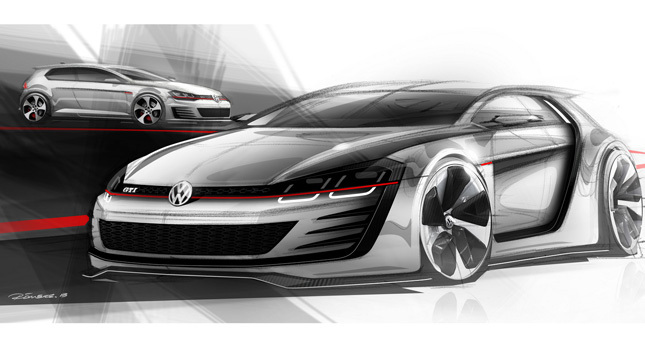 At 4,253 mm long, the 1,385 mm tall and 1,870 mm wide, the “Design Vision GTI” is 15 mm shorter in length, 71mm wider and it stands 57mm closer to the ground compared to the standard Golf GTI. 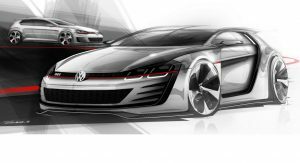 “We wanted to bring out the design elements of the GTI as concisely, dynamically and emotionally as we could so as to get to the heart of the fascination that this car emanates,” said Bischoff. 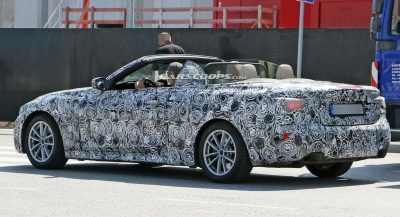 The concept’s reworked body also sports newly styled bumpers, additional vents at the back and in front of the doors, plus a race-spec rear diffuser, while the car’s interior looks to be completely revamped from the single sketch released by VW, featuring a brand new dashboard and instrument panel among others.